The Honda CB Unicorn 150 is one of the brand’s best-selling commuters. The motorcycle has been updated with single-channel ABS and comes in at Rs 79,133, ex-showroom Delhi. Compared to the non-ABS variant, this bike is dearer by Rs 6500. The Unicorn employs a 240mm disc up front and a 130mm drum at the rear. Even the non-ABS variant is on sale at Rs 72,633 (ex-showroom, Delhi) at the moment but its availability is until stocks last as the new norms do not allow manufacturers to make bikes for the local market that do not comply with the ABS/CBS safety norms. 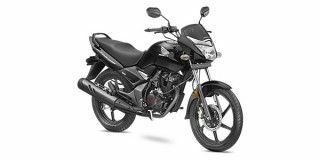 Honda CB Unicorn 150 prices start at Rs. To Be Announced (Ex-Showroom). Honda CB Unicorn 150 is available in 2 variants and 3 colours. Share your experiences with CB Unicorn 150? The claimed ARAI mileage for the Honda CB Unicorn 150 petrol is 60 kmpl. Honda's blue-eyed boy, the Unicorn is still a hot selling product thanks to its lovely handling, grunty 150cc motor and superior comfort on Indian roads. Q. My age 17yr and my weight is 50kg, which bike is best for me in Honda Shine SP and Honda Unicorn 160? Q. Which is best among Unicorn 160 and 150? Having been on top of the segment for over a decade now, does the Honda CB Unicorn still manage to tick all the right boxes? Let's find out. Honda's very first motorcycle to be launched in India, the Unicorn is still the choice of many bikers out there looking for a well-handling affordable 150cc motorcycle that is also comfortable. The CB Unicorn was the first motorcycle offered by Honda in India. Ever since, the styling hasn’t really changed much. It did get a major update in 2007, though, which included the addition of a chrome trim outlining the headlight cowl and black alloy wheels. The instrument console is an analogue unit and surprisingly, the Unicorn 150 doesn’t get Honda’s CBS (Combined Braking System). The 149.2cc, single-cylinder, air-cooled motor produces 12.9PS @ 8,000rpm and 12.8Nm of torque at 5,500rpm, mated to a slick shifting 5-speed gearbox. Suspension duties are handled by telescopic front forks and a monoshock at the rear. Braking is courtesy a 240mm front disc and a 130mm rear disc brake. The CB Unicorn 150 has a 13-litre fuel tank and tips the scale at 145kg (kerb weight). Hero Achiever 150: The Hero Achiever 150 has always been overshadowed by it rivals. But Hero has given it a new lease of life by launching an all-new model. The Achiever 150 is the only bike in its segment to get Hero’s i3s (Intelligent Start-Stop System) technology and boasts the best mileage figures for a 150cc bike. While the styling won’t please all, Hero’s enormous dealership network and killer pricing does make it an interesting option. Bajaj Pulsar 150: The Bajaj Pulsar 150 still remains a great option if you’re looking for an entry-level 150cc motorcycle. The motor offers a very likeable performance with a hint of brashness which has made the Pulsar brand so popular among the youth. Moreover, being a Bajaj offering, it has been priced aggressively as well. The styling could have been better and build quality in the long run needs to improve, but it still remains a well-rounded motorcycle. The Honda Unicorn might not possess the same visual pizzazz of the Pulsar 150, but what it does offer is a bulletproof engine which is frugal as well. The Unicorn 150 is a better bet if you spend most of your time riding in city traffic and the engine refinement offered is still the benchmark in the segment. The only downside is the Honda CB Unicorn 150’s price, which is significantly more than its rivals’. 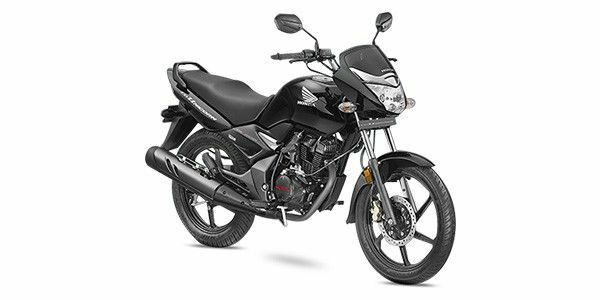 Confused about Honda CB Unicorn 150?